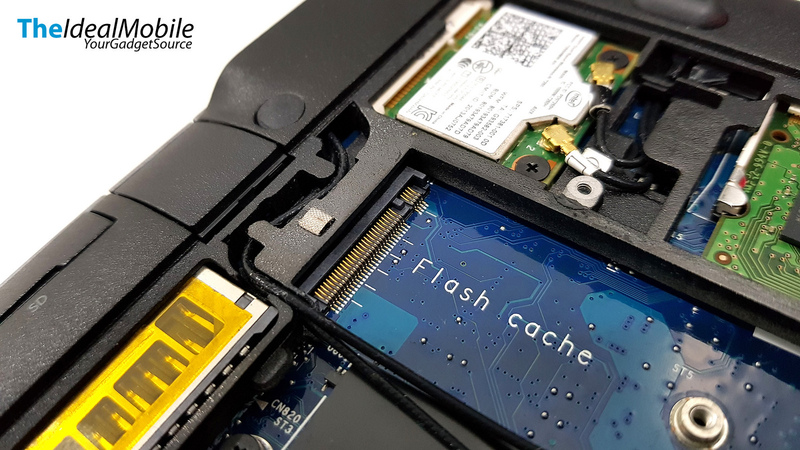 When flash storage price becomes more affordable, it has become a standard storage option out-of-box for Notebook or pre-built PC system. The boot and loading speeds have shortened drastically compared to a mechanic HDD. 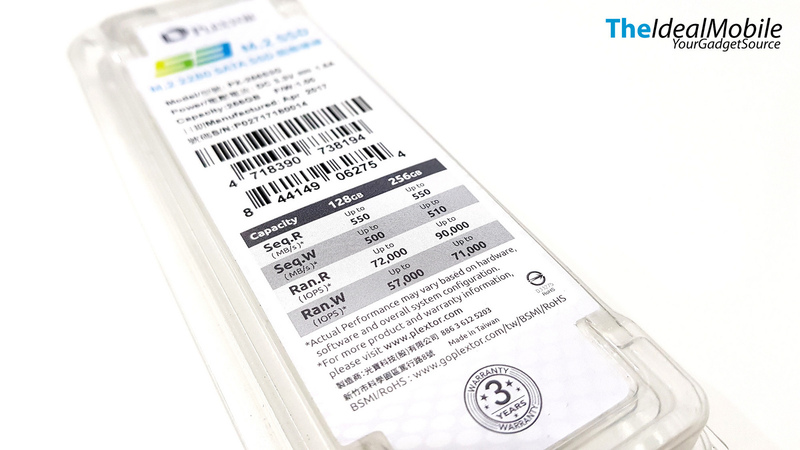 Thanks to Plextor for sending us the Plextor S3 M.2 SATA 2280 SSD for review. 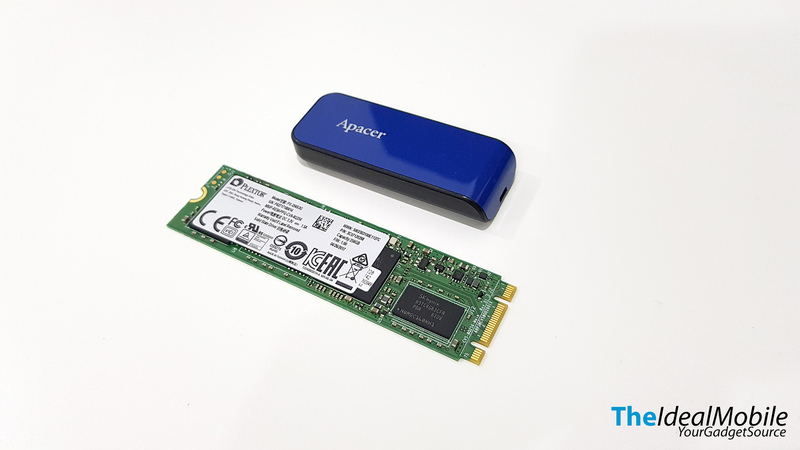 This is a 256GB SSD is retailing at around RM 350 – RM 399. 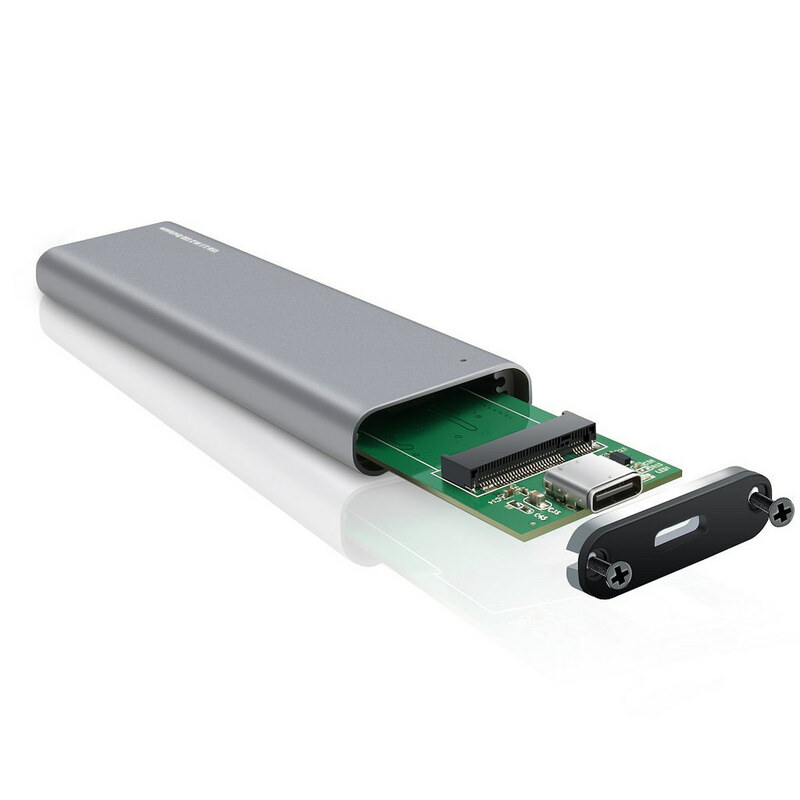 There are different sizes of M.2 SATA, 2242, 2260 and 2280. The 42, 60 and 80 are actually the length size mm for different notebook and mainboard. 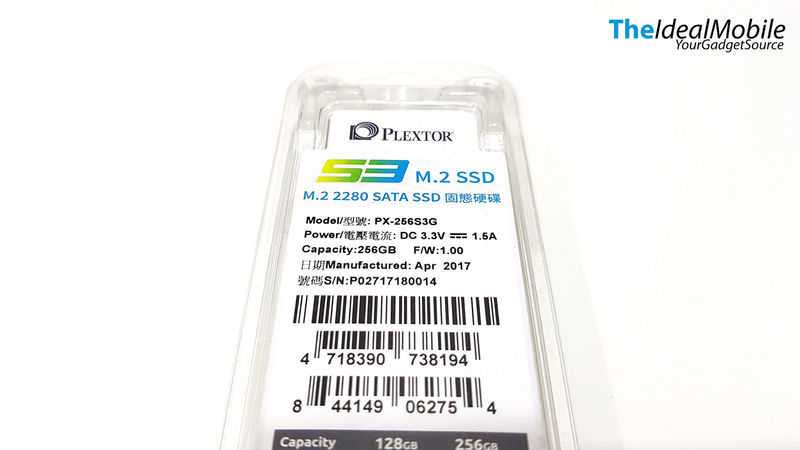 The packaging of the Plextor S3 M.2 comes in a plastic pack and included a small screw to hold the SSD on the mainboard. On the front packaging mentioned the Read/Write speed and IOPS for different capacity. 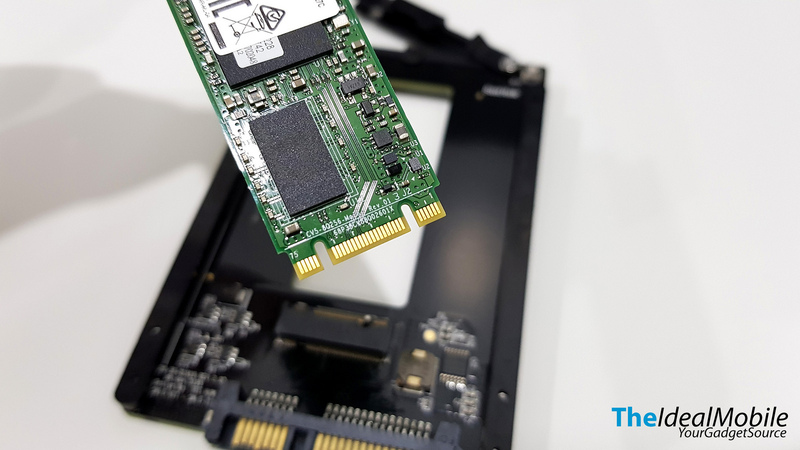 You can see the M.2 SATA SSD uses NAND Flash Hynix 14nm TLC chip and it’s very small and compact placed next to a standard USB Flash Drive. 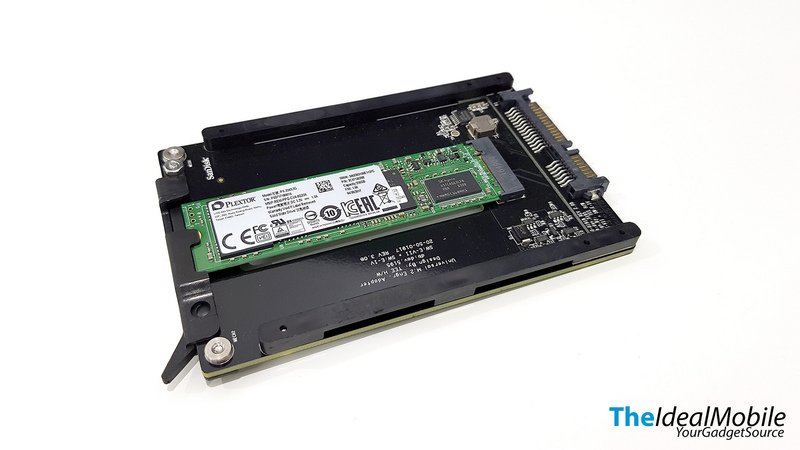 The connector of the M.2 SATA SSD and M.2 NVMe SSD are different so you will not able to slot a M.2 NVMe SSD onto the standard M.2 SATA SSD. 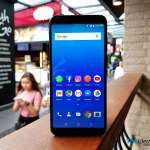 M.2 SATA has 2 notches where the M.2 NVMe has only 1. 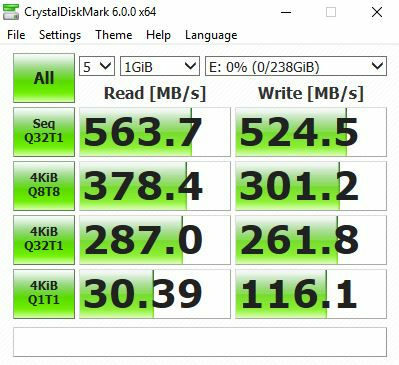 I was planning to test it on my HP Elitebook G1 which has M.2 SATA slot, unfortunately, it only supports 2260 which is shorter than 2280. Can slot it but cannot close. Thus I would advise you to check your Mainboard/Notebook’s user manual to see whether it support M.2 and which size/type of M.2. Because I do not have any mainboard or notebook that support it, I bought a M.2 SATA tray from Sandisk. 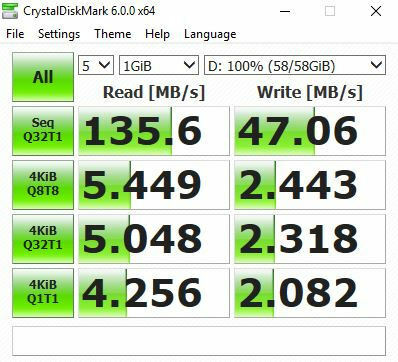 Due to M.2 SATA SSD, it still has bandwidth limitations of SATA interface at 6Gbps thus there wouldn’t be much different to connect to M.2 SATA connector directly. 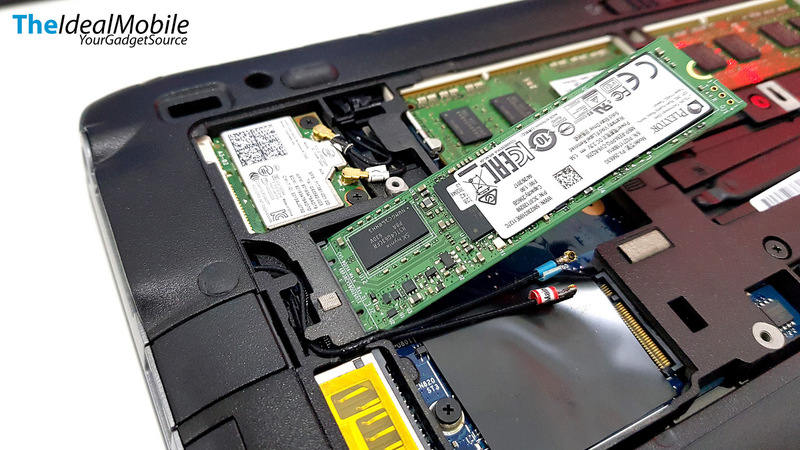 If you are using it directly onto your Mainboard/Notebook, you are required to enable it in BIOS to be recognized as storage in order for you to install OS or using it as secondary storage. 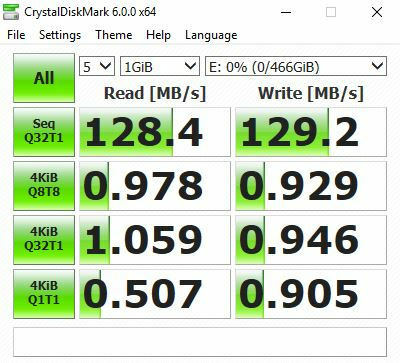 Below are the performance speed tests comparing it to a Toshiba USB 3.0 Flash Drive, Toshiba 2.5″ 500GB 7,200rpm HDD and Transcend 128GB 2.5″ SATA SSD on CrystalDiskMark. 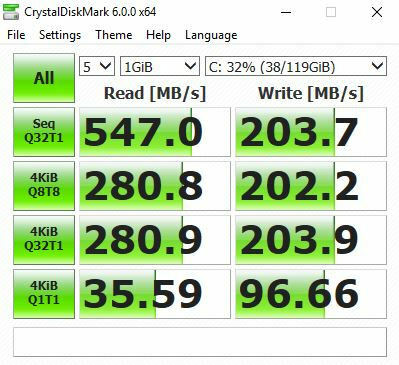 From the tests above we can conclude that Plextor S3G M.2 SATA SSD is a great option for storage expansion without breaking the bank at the same time without showing poorer performance. 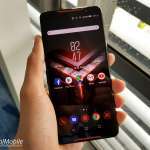 OPPO F5 6GB Red Edition Coming Soon!